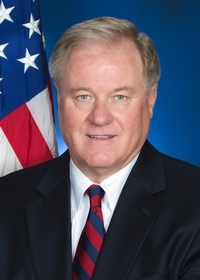 State Sen. Scott Wagner resigned his seat in the state Senate to give himself more time to focus on his gubernatorial bid. According to the Post-Gazette Wagner sent a letter to Senate President Joe Scarnati on Wednesday that he will officially resign on Monday after delivering a farewell address to the Senate. “Scott realizes that the way he can bring about the most change and do the most good for the commonwealth is to devote all his time and energy toward getting elected governor and giving Pennsylvanians a different choice,” Wagner’s campaign spokesman Andrew Romeo told the Post-Gazette. Governor Tom Wolf’s campaign called out the timing of Wagner’s resignation, ahead of the budget process allowing him to not have to vote for or against next year’s budget. “Scott Wagner’s decision to resign one week after skipping crucial votes to protect children in order to attend a political corporate policy summit, and one month before the budget deadline, proves that he is the very worst of Harrisburg,” Wolf’s communications director Beth Melena said. What a wonderful gesture, Scott wagner knows what’s best for pa and will be an excellent governor. I can’t wait for the wolf man to leave Harrisburg! We need to re-elect Governor Wolf or PA is screwed. So many politicians remain in their taxpayer-paid positions while out campaigning for another office. I guess we don’t pay Wagner’s salary anymore if he is resigning. Elected officials always have an advantage over a non elected official in a campaign. That is why so few ordinary folks can run for office and continue to make a living. Wagner can probably do this since he had built his business. Governor Wolf still gets paid while he is campaigning and so does every other politician. Some even run for two positions to hedge their bet and continue to receive salary. Ex. Rep. Dean. I believe she is running for re-election as a State Rep. and for Congress. Yo! Shittmann. Governor Wolf works for nothing…no pay, no benefits, no expenses. Wow – what a sad commentary that Wagner is such a big coward that he won’t fulfill his duties to vote on a budget. Voters have to totally reject these millionaires that think it is okay to dabble and play in politics. WE NEED REAL LEADERS WHO WILL MAKE THE TOUGH DECISIONS WHEN IT IS ON THE LINE. Enough of the privileged wealthy class dabbling in politics as a hobby. It’s a bad look all around. Wagner doesn’t step up and cast the tough vote. Then he shows he doesn’t have to work by quitting a GREAT job with great benefits. This campaign has overtones of one that is tanking. Like real leaders who don’t sign or veto a budget? Mmmmm ok. Anything to not have to be on record for the budget vote, am I right? Wolf should send Yesenia Bane to all 67 counties to collect the tribute owed to her for keeping the severance tax at bay. Was this one of Zaborney’s brilliant tactical ideas? Just bizarre. Following the Dole ’96 Victory Playbook I see. . . He has done nothing for almost 4 years. Loud mouth bully has no chance in beating Wolf. Good by don’t let the door hit you. By the way he may need a step ladder to reach podium to give farewell speech.